The popularity of burnt ends created an unusual problem for pitmasters in Kansas City. Even with a ready supply of briskets, there wasn’t enough of the ends of those briskets to make the menu item known as “burnt ends.” Briskets taper at both edges — it’s the thinner parts that get crusty and crispy and deliciously charred. But pitmasters, over time and through trial and error, found a way to replicate what happens to the tapered edges and use more of the brisket. A whole brisket has two parts: the point and the flat. The larger flat is often sliced and used for sandwiches. It’s the leaner part of the brisket. The fattier point, when treated right, develops a nice, crusty exterior (known as the bark) and a tender juicy interior (a result of the fat rendering during the meat’s extended stay in the smoker). While Joe’s has their process, burnt ends are no longer made one way. There are so many different variables involved in how they’re made today that what makes a true burnt end is open for interpretation. Tune in next week when we explore all of the ways that burnt ends can differ and why a perfect burnt end can feel like a moving target. 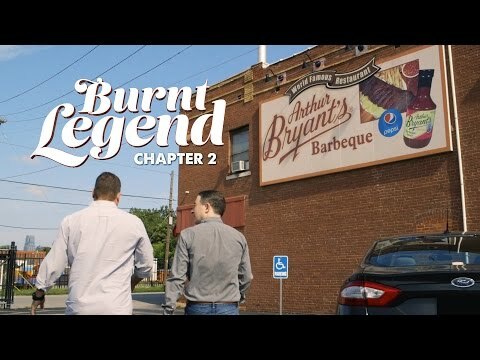 — Chapter 1 of Burnt Legend, the digital series, debuted on Monday, September 19. Chapter 2 can be found here. 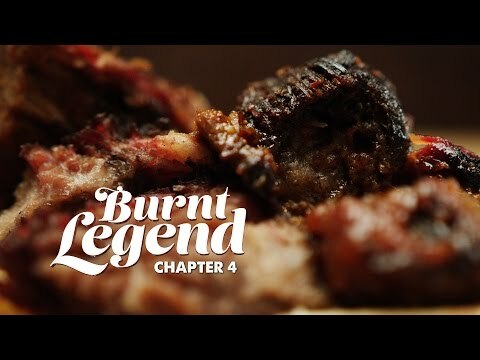 Burnt Legend, a five-part series, runs on consecutive Mondays through October 17. The chapters will be woven together to form one larger story that runs at 7:30 p.m. on October 20 on KCPT. Chapter 5 | Is This The Ends?